Provide comfort for the family of Laveeda Riley with a meaningful gesture of sympathy. Wilson - Funeral Services for Mrs. Laveeda Catherine Riley, 57, of Wilson are scheduled for 10:00 AM Tuesday Jan. 29, 2019 at Alexander Gray Funeral Home Chapel at Wilson with Rev. Spence McConnell officiating. Cremation will follow at Alexander Gray Crematory of Ringling. Laveeda was born on March 7, 1961 at Wilson to the late Mr. Harold Gene Riley and Mrs. Janice Avon (Beck) Riley. She departed this life on Friday January 25, 2019 at Madill. Laveeda was raised in Wilson attending school. Her life life long love was Randy Bulla and throughout the years of his oilfield employment they moved all over the U.S. They returned to this area near 20 years ago mostly residing south of Wilson. Laveeda enjoyed living with in the country and playing cards and was an avid OU fan. She enjoyed all of her friends and family and adored her grandchildren. Preceding her in death are her Parents, Harold Riley and Janice Southerland; stepfather , Odus Southerland and most recently her spouse, Randall Bulla. Survivors include her daughter, Cassandra Hood and husband Chris of Madill; sons, Daniel Bulla and wife Stephanie of Washington, Brandon Bulla and wife Sunny of Healdton, and Dustin Bulla and wife Christy of Wilson; sister, Janete Mefford of Wilson; grandchildren, Tyler, Katelyn, Justus, Scarlette, Ella, Jace and Ryan; aunt, Joyce Dethloff and husband Joe and Uncles, James Beck and wife Toni and Riley Beck and wife Barbara; numerous other family and friends. Casket Bearers are Daniel Bulla, Brandon Bulla, Dustin Bulla, Joe Dethloff, Chris Hood and Riley Beck. Honorary Bearers are Mickey Bulla, Ronnie Roberts, James Beck, Dub Wade, Susan Sizemore, Gianna Hacker, Lana Martin and Leta Skaggs. Family visitation will be held from 6 to 8 pm Monday evening at the funeral home in Wilson. 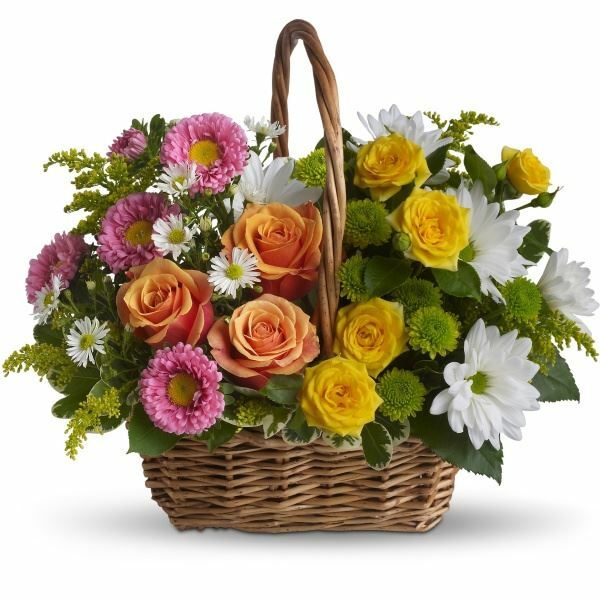 To send flowers in memory of Laveeda Catherine Riley, please visit our Heartfelt Sympathies Store. We encourage you to share your most beloved memories of Laveeda here, so that the family and other loved ones can always see it. You can upload cherished photographs, or share your favorite stories, and can even comment on those shared by others. Riley and Barbara Beck sent flowers to the family of Laveeda Catherine Riley. With heartfelt condolences, for your loss. Our prayers are with you. Riley and Barbara Beck purchased the Sweet Tranquility Basket for the family of Laveeda Riley.